Plastic vs paper: which banknotes are greener? FYROM (the former Yugoslav Republic of Macedonia) is the latest country to officially adopt polymer banknotes. The country’s national bank BNT said it would issue the first polymer 10 and 15-denar banknotes this week. It plans to replace all paper banknotes with plastic cash, a local news website reported. Polymer banknotes, which are made from plastic, were first introduced in Australia in 1988 and are now used in more than 30 countries. But if the new polymer banknotes are made from plastic, aren’t they more harmful to the environment than paper ones? According to the Bank of England (BoE), which made the switch in 2016, polymer banknotes are more environmentally-friendly as they last longer than paper ones which often succumb to wear and tear. Paper banknotes are currently made from paper and linen which is more fragile than plastic. A study commissioned by the BoE, focusing on seven environmental indicators, found that plastic cash lasts 2.5 times longer than paper banknotes. Additionally, a “sensitivity analysis” showed that polymer banknotes only need to last 1.33 times longer than paper ones before they achieve a lower global warming potential. The banknotes' longer lifespan means that fewer polymer notes are needed to provide the same functions as a given quantity of paper cash. As a result, less raw material is needed to produce plastic money. 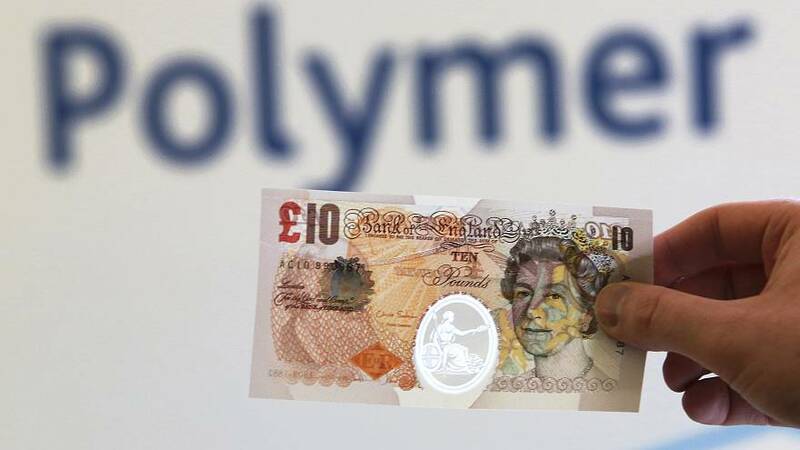 Polymer banknotes can also be recycled as their waste can be transformed into new plastic items, said the study. So why hasn’t the European Central Bank (ECB) switched to polymer banknotes? The ECB told Euronews that after studying the matter, they decided to stick to paper banknotes for security and cost aspects. “It was decided that cotton paper is the best material for euro banknotes,” an ECB spokesperson said in an email to Euronews. But what about their environmental impact? The ECB said they’ve added a “thin layer of protective coating” to make the €5 and the €10 banknotes of the Europa series more durable. However, the ECB did not say whether the protective coating made their paper banknotes as durable as polymer ones. To minimise the environmental impact of their paper money, the ECB created environmental guidelines (based on international standards) to oversee the production of euro banknotes and their main raw materials. However, not everyone is happy about the raw materials used in polymer banknotes. After discovering animal fat in the new polymer banknotes, vegan and religious groups complained to the Bank of England that they would not be able to use the new money and called for the production process to be changed. However, the bank decided that after “careful and serious consideration and extensive public consultation” they would not change their production process because switching to palm oil alternatives would be costly and raise questions about environmental sustainability.